Whoa. It’s finally here. Techstars Startup Week Tallinn 2018 starts now and with 62 individual events throughout the week, we are testing the limit or limitlessness of our community. 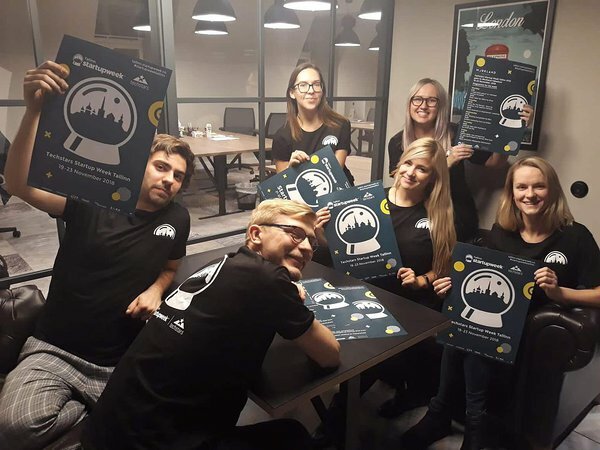 In order to really get the most out of this week, the organising team has prepared a guide for you - Survival Tricks for Startup Week Tallinn 2018. Request vacation! Sick leave, unannounced absence, etc other forms of skipping other obligations are accepted, too. If you can’t request vacation, make sure to fill your evenings with quality networking events. If you look at the programme, all evenings have at least one central event where next to good content there are also good people. The easiest way to get around Tallinn is by bicycle. You can lock your bike using the Estonian-born startup Bikeep. If you don’t have your own bike, you can rent one from the self-service bicycle rental Sixt. For longer distances, use Taxify! Find at least one new topic and learn something new. From creating apps on blockchain to taking part in your first fashion tech design workshop, lot’s of startups and organisations open their doors and share their insights. Startup Expo! For the first time ever, startups take over Solaris Centre. On Wednesday and Thursday, we can showcase some of the future unicorns and innovative solutions. Last but not least - sharing is caring! Join the conversation and every day’s latest highlights by following our official hashtag #startupweektallinn. And we’ll see you at the events.